When MSC started offering computer classes, the first courses were short-term courses on computer operation and programming. 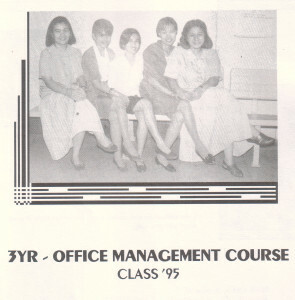 In the first semester of school year 1991-1992, two-year courses on Computer Technology and Office Management were offered to the growing number of MSC students. 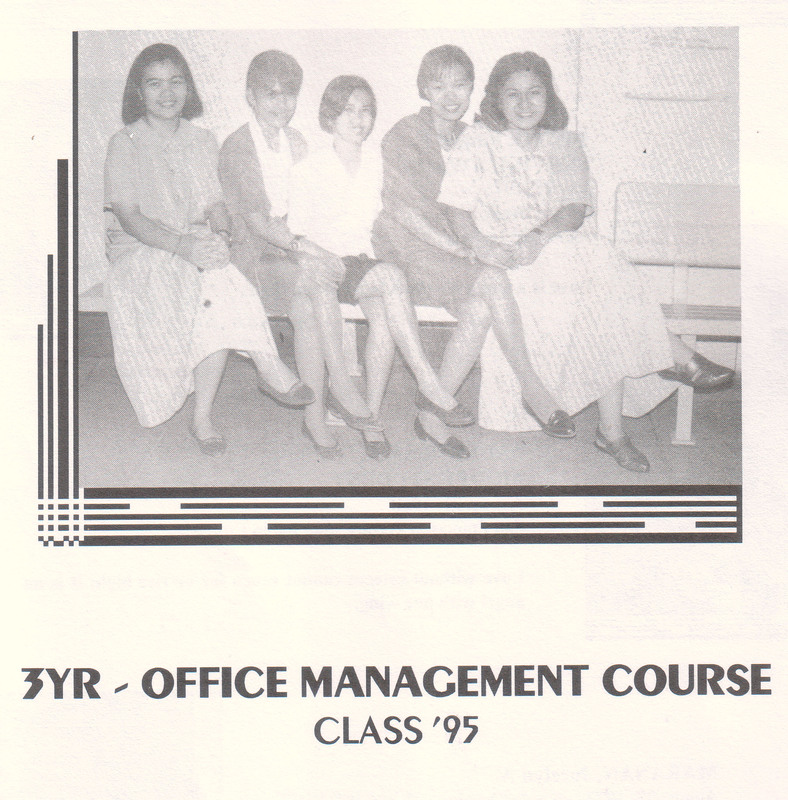 Then in school year 1994-95, MSC offered the three-year courses on Computer Technology and Office Management. Six fresh graduates of the two-year Office Management course enrolled in the new 3-year course. These were: Claire Ticzon, Aileen Metica, Aileen Tanodra, Jocelyn Maranan, Lina Jader, Raquel Dioyo, and Letty Changco. Aside from the regular academic classes, these ladies underwent extensive training in the different offices of MSC. Eventually, most were absorbed by the different departments and a few worked in the different MSC companies. Claire and Aileen Metica became computer teachers in MSC partner schools, and later they were hired as MSC instructors. Raquel Dioyo worked as Cashier at MSC. Aileen Tanodra worked at Escuela de Valle Verde as teacher. Jocelyn worked at the Hall of Justice of San Pablo City. Aileen Metica works and lives in Canada. Aileen Tanodra lives and works in Singapore. Lina, after many years with MSC Data Exchange Co., has her own business now. Raquel is now a full-time wife and mother. This entry was posted in Alumni, History, MSC, Technical-Vocational and tagged Aileen Metica, Aileen Tanodra, Claire Ticzon, Jocelyn Maranan, Letty Changco, Lina Jader, MSC, MSC Computer Training Center, Owen Ignacio, Raquel Dioyo, vocational on September 6, 2014 by Jose Adonis Duma.